First things first: you need an API key for Prowl --- a unique string of digits that allows Alfred to connect to the Prowl service on your behalf. 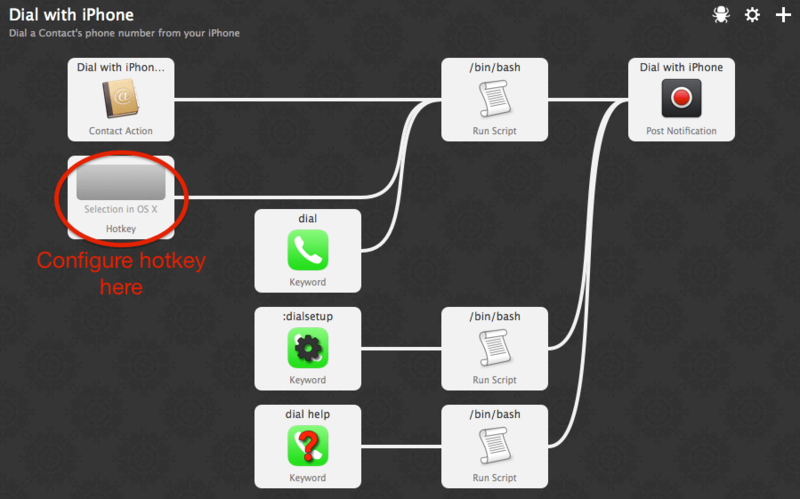 Get that here, or use the keyword :dialsetup with no additional parameters. To send the number of a contact from your Address Book, you'll need to enable a "custom action" in Alfred's Contact preferences. For the contact field "Phone", choose the action "Dial with iPhone (via Prowl)". And that's it. 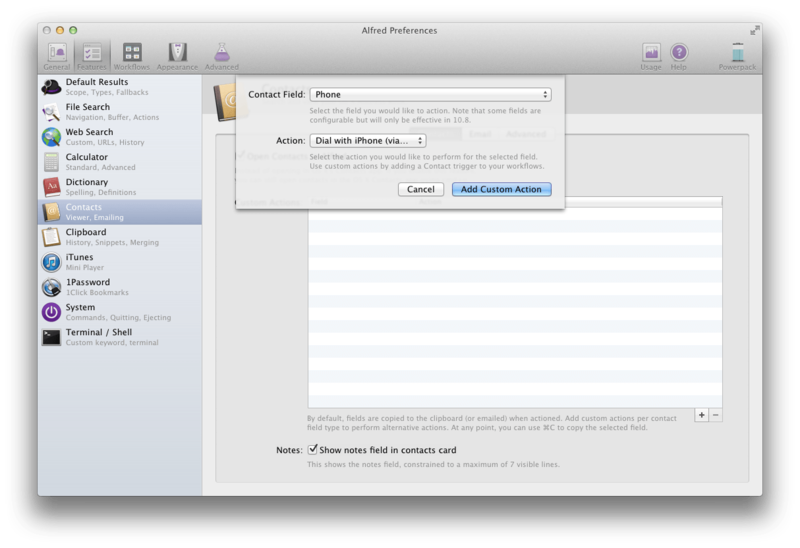 Now, when you display a Contact in Alfred, just select their phone number to dial it from your iPhone!